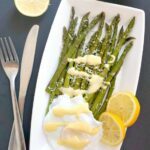 Roasted Asparagus with Hollandaise Sauce and Poached Egg, a super healthy, low carb and delicious breakfast or brunch recipe that is ready in about 20 minutes. Posh enough to be served on special occasions, and surely a lovely healthy treat for Easter. Asparagus is one of my favourite vegetables, it makes a brilliant side dish for any roast, although it is so tasty on its own too. You can choose to boil it, but if you really want to enjoy maximum taste, you have to roast it. It becomes so tender and tasty, and the addition of olive oil and parmesan brings so much flavour. 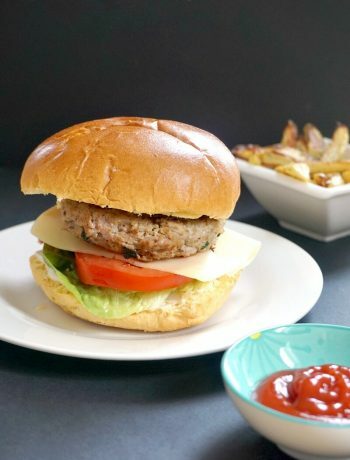 This is not plain food, but a real treat, you will feel like you are having a meal in an expensive restaurant, even if you enjoy it from the comfort of your own home. Shame that asparagus can be pretty expensive off season, a bunch can cost around £4, which, if you ask me, it’s just ridiculous. Isn’t it outrageous that junk is forever on sale, yet healthy stuff is so dear? I mean, for £1 you get tons of chocolates and crisps. It’s so unfair, isn’t it? And then we wonder why people don’t eat healthily. Well, not hard to guess why. 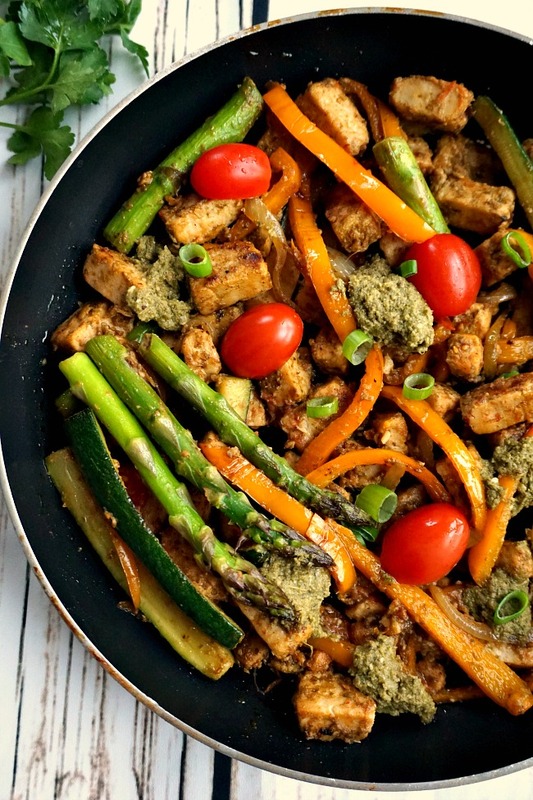 Right, so how to make this fantastic meal? Let’s take them one at a time! How to make roasted asparagus in the oven? Is it just me or snapping asparagus stalks is great fun? It almost comes close to popping bubble wrap in terms of fun ways to relax. I know, still a child, hey! Pretty simple, isn’t it? You can drizzle over some lemon juice too, for a nice zesty kick. 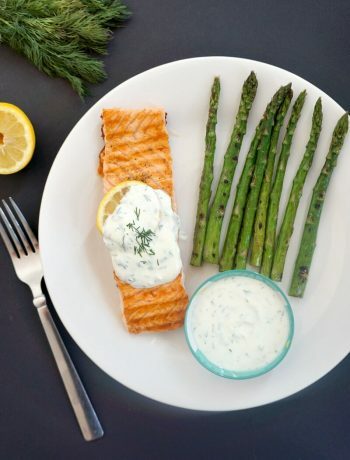 And the very best sauce for roasted asaparagus is the Hollandaise Sauce. 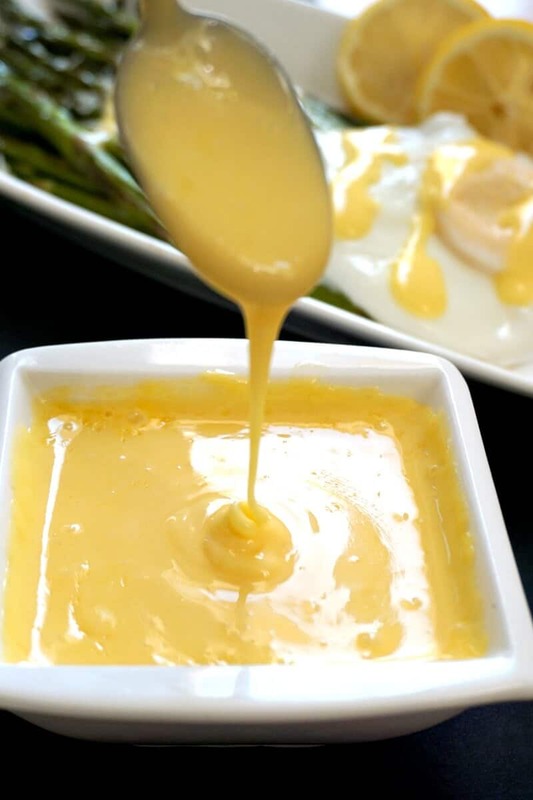 The Hollandaise sauce is a rich and smooth sauce made with butter, egg yolks and either vinegar or lemon juice. There are quite a few techniques, but the one in the blender is the easiest and quickest. Note! Please be mindful that the egg yolks are barely cooked, so if you are worried about eating raw eggs, it might be best to avoid this sauce. Please make sure the bottom of the pan does not touch the water, we need the butter to melt slowly, the temperature should be low. Alternatively, you can place the butter in a pan, and set it over a low heat to melt. It is important for the egg yolks to be at room temperature, otherwise they could split when adding the warm butter. blend for a further 30 seconds or so, the sauce should be smooth, a super silky. The finishing touch comes with the lovely poached egg. Poaching eggs is a super simple job, no effort whatsoever here. If you don’t like the egg yolk runny, you can leave it to cook for longer! Some people add vinegar to the water, but I had excellent results without, so I don’t really bother with that. I love poached eggs, they make a fantastic breakfast or brunch recipe. Fancy something a bit different? How about my Poached Egg and Avocado Toast? 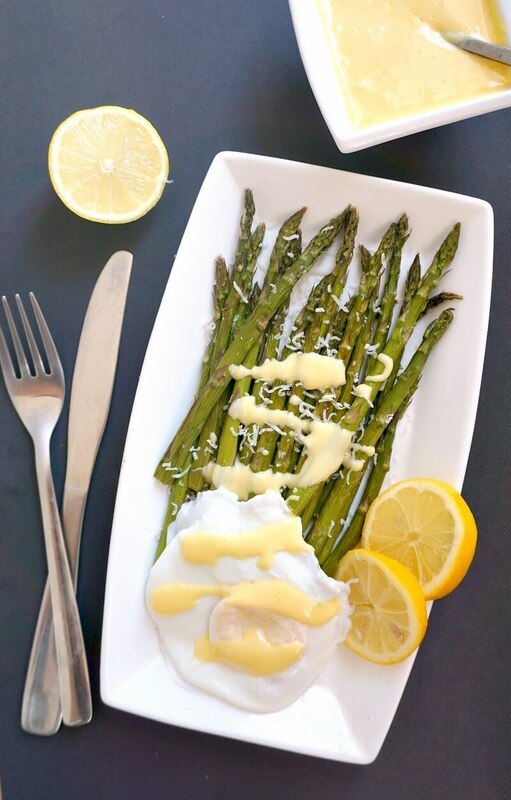 If you’ve liked my ROASTED ASPARAGUS WITH HOLLANDAISE SAUCE AND POACHED EGG or any other recipe on the blog then don’t forget to rate the recipe and let me know how you got on in the comments below, I love hearing from you! You can also FOLLOW ME on FACEBOOK, and PINTEREST to see more delicious food and what I’m getting up to. Take the end of each asparagus spears between your thumb and forefinger and bend until it breaks. 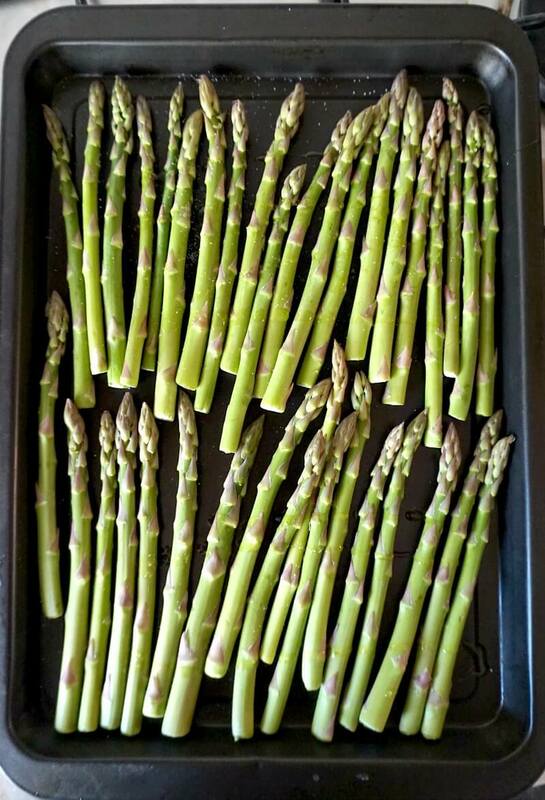 Transfer the asparagus tips to a baking tray, drizzle olive oil over and season with salt and pepper. Bake in the preheated oven at 200 degrees Celsius (390 Fahrenheit) for 15 minutes until tender. Remove from the oven, and sprinkle grated parmesan over. Drizzle some lemon juice over it too for extra fresh taste. To poach the eggs, bring a pan of salty water to the boil over a medium to high heat, crack the egg in and let it cook for about 2 minutes until the egg white is set. Leave it for longer if you like your egg yolk hard, rather than runny. Repeat with the other egg. To make the hollandaise sauce, set a pan over a pot of simmering water, add the butter and leave to melt. Add the egg yolks to the blender together with the lemon juice, salt and pepper. Blend well until the egg yolks double their volume and become a pale yellow. Gradually add the butter, and continue to blitz until you get a smooth sauce. It should not take longer than 1-2 minutes. 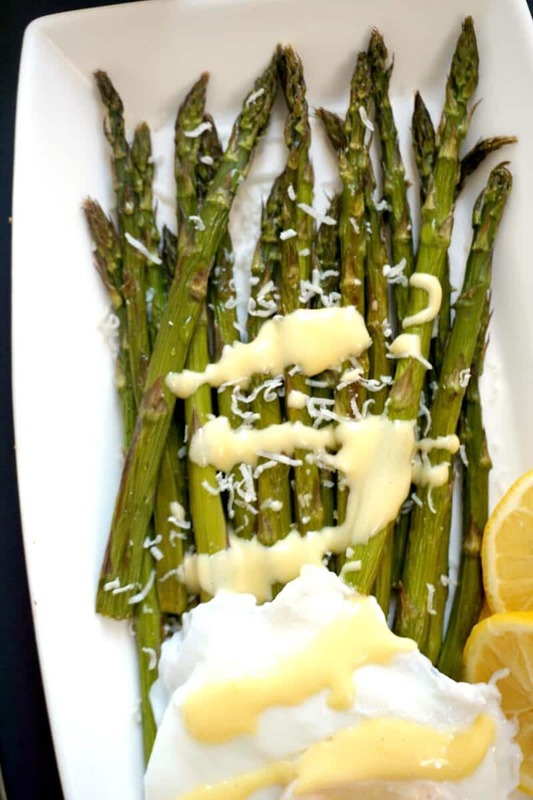 To assemble, add the asparagus to a plate, top with the poached egg, and drizzle over the hollandaise sauce. Hi Daniela, I love asparagus too. A simple, yet yummy n healthy meal! Thanks for sharing.